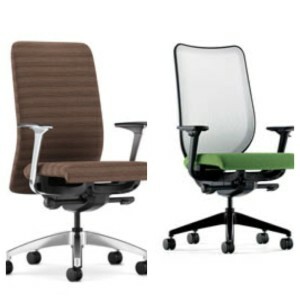 Here at Office Environments we prefer to sit in a chair that is well-made, comfortable, and supportive. Not only does the HON Nucleus meet all of these expectations, it’s also super stylish. 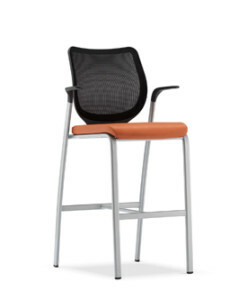 The Nucleus is available as an ergonomic work chair, a stackable multi-purpose chair, and a café height stool. 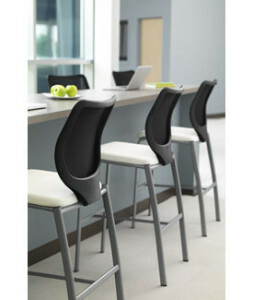 With a variety of material options, you are sure to find something that fits perfectly into your office design. The Nucleus also comes in either an upholstered back that offers a more traditional look, or a mesh back for more contemporary spaces. The mesh back features ilira®-stretch M4 that flexes four ways to provide instant lumbar support. The internal seat structure of the Nucleus was designed to allow weight to be evenly distributed in order to minimize pressure points, and reduce muscle fatigue. The HON Company says “Nucleus brings ‘cool’ and ‘comfortable’ together for any area of the workplace.” and we couldn’t agree more. The HON Nucleus is an all-around fantastic chair that we would recommend to anyone who is looking to sit in comfort.